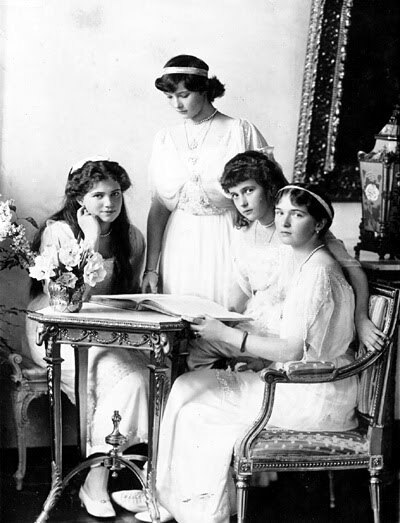 The four daughters of the last tsar of Russia: Olga, Maria, Tatiana and Anastasia, were brutally murdered at July 17, 1918. Because they led a relative isolated live, they were very close together. Olga, the eldest, was only 6 years older than the youngest, Anastasia. When they became older they choose one autograph for the four of them together: OTMA. In that name they gave joint gifts and signed letters.